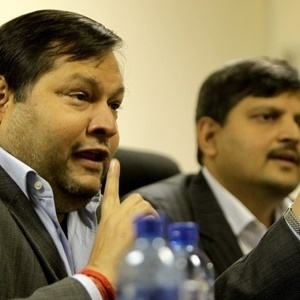 A group of eight Gupta company executives has again been denied leave to appeal against a high court ruling giving business rescuers access to the family’s Sandton head office. Handing down judgment in the appeal on Thursday, Johannesburg High Court Judge Moroampholo Tsoka ordered all appellants to carry the costs, again. This was the executives’ second failed appeal. They are Ronica Ragavan, Reshma Moopanar, Vidya Mudaliar, Pushpaveni Govender, Ashu Chawla, George van der Merwe, Mduduzi Mtshali and Salim Essa. On April 13, Judge Denise Fisher, sitting in the same court, granted the rescuers an order after the executives tried to control their access to the premises. She slapped the executives with a punitive cost order for opposing the application. The executives applied for leave to appeal and failed. The business rescue practitioners are Johan Klopper, Kurt Knoop, Martin Damons and Kgashane Monyela. They approached the court when the executives started forcing them to make written requests to visit the offices of Oakbay Investments in Sandton. This made it hard to get access to documents and do their job, they said in court papers. The executives had claimed that although five of the companies which are under business rescue do not conduct business on the premises, they are controlled and managed from there. The executives claimed the rescuers were invading Oakbay and its subsidiaries’ right to privacy. They argued that because they had other court cases pending, the rescuers might overhear sensitive conversations. Fisher rejected this argument and said no evidence or even a specific allegation of impropriety against the rescuers had been produced – only that they were an inconvenience. She said the Companies Act allows business rescuers to take over the daily management of companies.